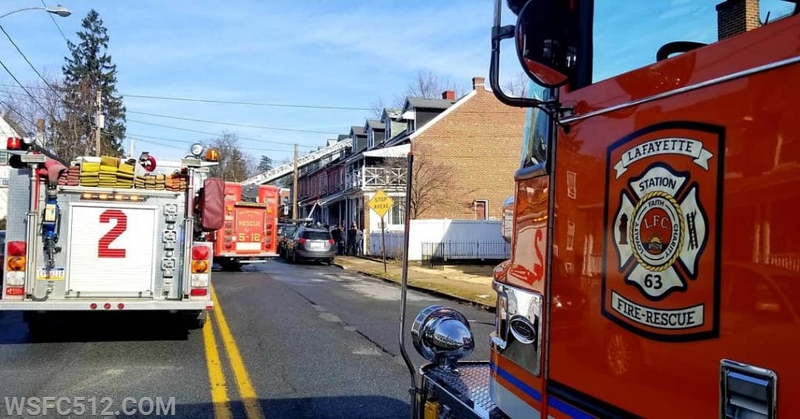 Just a little after 10 am the Rescue was alerted to assist station 64 ( Lancaster City Fire ) on a working house fire . City fire units arrived with fire showing from the back side of a duplex in the 300 blk S Marshall St . 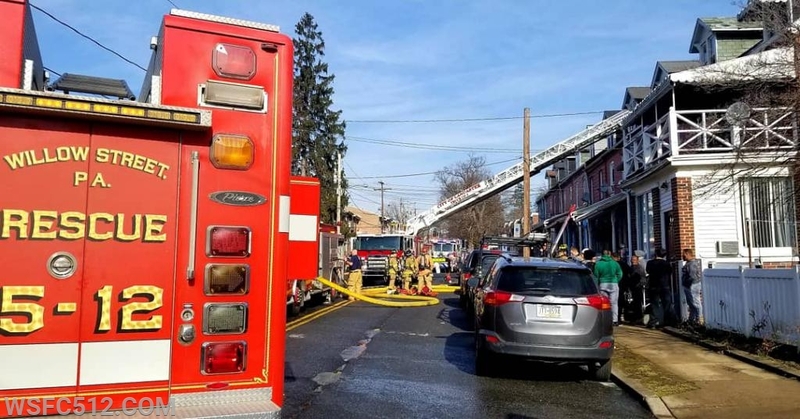 The shift commander ( Capt Dommel) requested the working fire dispatch bring Rescue 50 and Truck 204 ( Manheim Twp) . Before Rescue 50 made the response the assignment was upgraded to a 2nd alarm. Rescue 50 arrived and was assigned side charlie of the address to provide RIT . City units made quick work of the fire and was able to down grade the assignment quickly . Engine 502 also made the response to the fire covering units that did not respond. 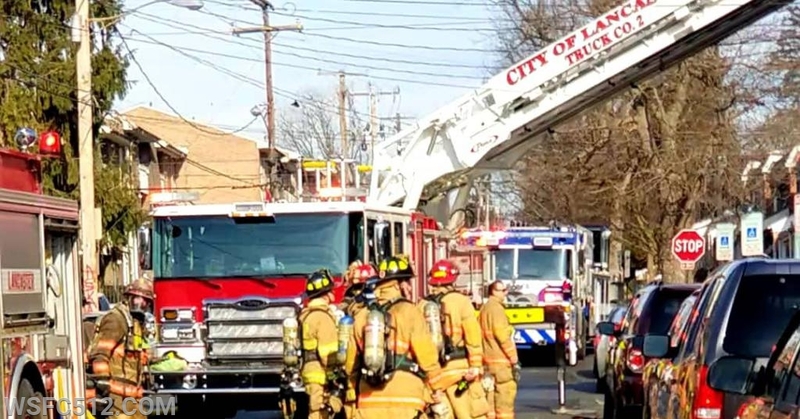 Prior to arrival , Engine 502 was placed in service and command held the assignment to the units that were on the scene. Rescue 50 was out for about an hour before returning to Willow Street.